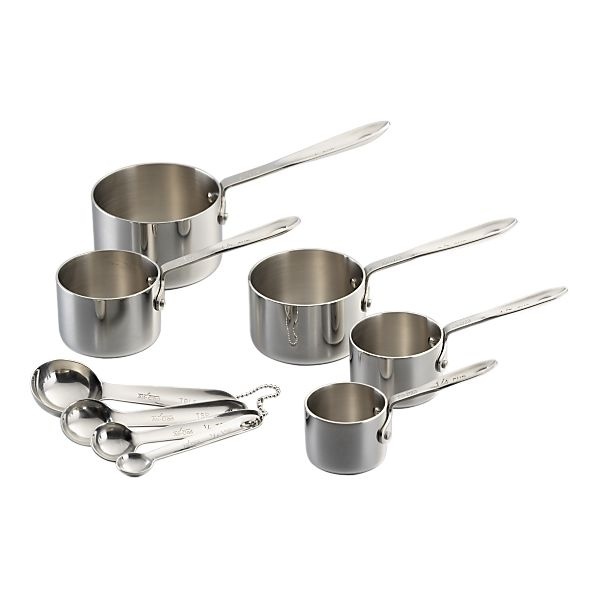 These All Clad Measuring Cups are great; they are very durable, rust proof, and dishwasher safe. In addition to all these details… they are also really cute. These mini-All Clad pots are so stylish that (with appropriate food) they can even be used as serving pieces. At a recent brunch, I had my guests use the 1/4 of a cup to scoop for granola onto their yogurt instead of using a spoon.